The 2017 Mr. Olympia contest should be an epic showdown. Read our predictions to see if anybody has a shot at taking the crown from Phil Heath this year, and if OSL’s Breon Ansley is ready to reign supreme and claim the Classic Physique Olympia which eluded him last year. Here are Old School Labs’ fearless predictions for this year’s Mr. Olympia and Mr. Olympia Classic Physique! To jump directly to our Classic Physique predictions, click here. To be honest, the 2017 Mr. Olympia contest is not generating as much buzz as last year’s event. Scheduled to take place on September 16 at the Orleans Hotel in Las Vegas, the upcoming show lacks last year’s drama of legendary bodybuilder Kevin Levrone’s comeback after a 13-year layoff. 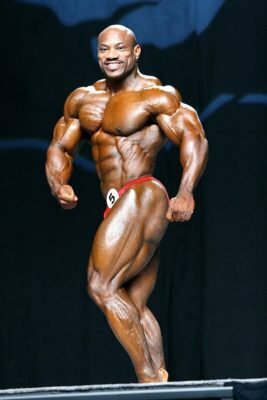 The thought of Levrone at his best challenging perennial champ Phil Heath energized bodybuilding fans, many of whom believe the top competitors from the 1990s were far superior to today’s competitors. Unfortunately, when Levrone took the stage, he proved no match for Heath, who cemented his sixth Mr. Olympia victory with a physique that was superior to any he had displayed before. Not even his contemporary challengers could come close. It was a slam dunk. No other bodybuilder onstage really challenged Heath. 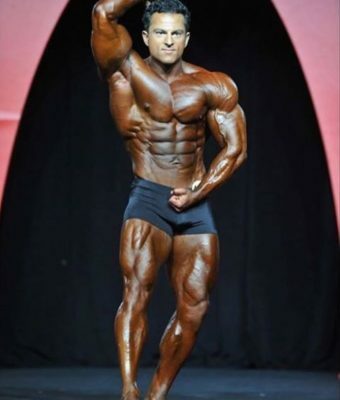 As this year’s Olympia draws closer, the general consensus is that Heath will easily win his seventh Sandow. Kai Greene, his only true competition during Heath’s reign, has made it clear that he has no desire to ever compete in the Olympia again. Still, you never know what’s going to happen until the men hit the stage. So here’s our fearless predictions for top 8 placings of the 2017 Mr. Olympia. Winklaar is one of the largest bodybuilders on the planet. His awe-inspiring size includes super massive arms that are probably the biggest of any of today’s pros. If he competes in top condition, as he did last year at the Mr. Olympia, he will place very high. However, Winklaar’s conditioning is not consistent, and that will be the deciding factor. He hasn’t competed much this year to put more effort into the his Mr. Olympia appearance. If he really dials it in and comes in ripped while maintaining his immense size, Winklaar should be a sight to see. However, if he misses his peak and comes in too soft, he will place out of the top six no matter how big he is. We don’t see him quite making it that high. Bonec surprised everyone last year when he took fifth place in the Mr. Olympia. It’s been a steady climb for this super-thick competitor. He placed 15th in 2014 Mr. O, but moved up to eighth place a year later before entering elite territory by his impressive fifth finish in 2016. He has a reputation for competing ripped and hard, but his one weakness is his short height. It’s simply more difficult for a shorter bodybuilder to beat a taller bodybuilder. But don’t count him out. He could easily make the top six if he shows up at his best. Lenartowicz is another rising star who continues to steadily improve. After winning the Ferrigno Legacy Pro and the San Marino Pro in 2015, and taking third in the Arnold Classic last year, he took some time off early in 2017. He reemerged, presenting a different looking package with substantially more muscle mass when he won the 2017 Tampa Pro in August. Last year he finished ninth at the Olympia. This year, Lenartowicz has a great chance of making the top six in his second Mr. Olympia due to the enhancements he’s made. The judges love a competitor who makes improvements from year to year. If he can dial in his condition and arrive in ripped shape, he’ll easily make the top six. Some believe McMillan has the greatest chance of defeating Heath. No one in the IFBB has the height, width, symmetry, and overall size to topple the champ. He also has the momentum, having won the this year’s Arnold Classic. If history is any indication, however, McMillan will fall short. He never seems to peak for the Mr. Olympia like he does the Arnold Classic, coming in flat if he shows up at all. In an era where Heath seems untouchable, it’s a shame to see someone of McMillan’s potential miss the mark at the Super Bowl of bodybuilding. While he’s a hard worker, McMillan seems to lack the “eye of the tiger” determination necessary to unseat a dominant champion. If that changes, we could see a dramatic upset on the Olympia stage on September 16. Otherwise, McMillan’s easygoing attitude of just being happy to be there will cost him. The amazing, ageless Jackson will be entering his 18th Mr. Olympia contest, and he’ll do it as the only former titleholder to compete this year. At almost 48 years old, he has defied Father Time and continues to place at the top of the biggest contests in bodybuilding against competitors half his age. He won the Mr. Olympia in 2008, beating then champ Jay Cutler in a stunning upset. Since then, The Blade has finished as high as second place at the 2015 Mr. Olympia. 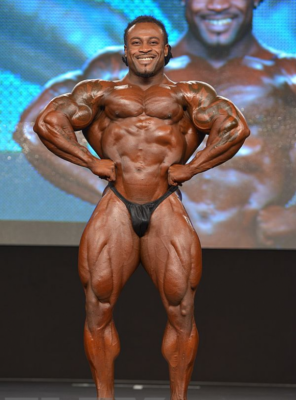 Last year, Jackson dropped down to third place behind Shawn Rhoden and Heath. If anyone is off their game, the veteran competitor will out pose them and push them aside. But age is catching up with this great athlete, and he knows he has to bring it for one last shot at glory. Don’t count him out. Big Ramy is this year’s Mr. Olympia wild card. The biggest pro bodybuilder competing today, stepping onstage at over 300 pounds, Big Ramy has a chance to overwhelm the rest of the lineup, including Heath, if he can hit peak condition. Big Ramy will be competing in his fifth consecutive Mr. Olympia, and has gradually finished higher every year, with his best placing last year when he finished fourth. His soft-spoken personality and outrageously huge muscularity physique have earned him enormous popularity with fans who will be cheering on Big Ramy to pull off an upset. If he can come in ripped and full, Big Ramy can leverage an enthusiastic crowd to help propel him to the winner’s circle. Considered the prime threat to Heath, Rhoden has the goods to topple the champ if the reigning Mr. Olympia doesn’t hit his peak. Rhoden has been runner-up to Heath twice, in 2014 and 2016, and he’s spoiling to finally get the best of his chief nemesis. The 2017 Arnold Classic champ, Rhoden is the total package. He has one of the most aesthetic and symmetrical physiques in sport, with great abdominal development, a small waist, and excellent legs. He consistently shows up in top shape and is always dialed in for the Olympia. If Rhoden has a weak point, it’s his back thickness, which suffers when compared to Heath’s outstanding rear double-biceps pose, which is simply is one of the best in bodybuilding history. If Rhoden can counter that deficiency, he could pull an upset here. It’s difficult to picture a scenario where Heath doesn’t win his seventh consecutive Mr. Olympia. The Gift is nearly as unbeatable as an athlete can be. His amazing genetics and crazy muscle separation have dominated the Olympia stage for six years now. His detailed and full muscularity is so mind-boggling it can overcome those few occasions when he misses his peak. Of course, every “unbeatable” champ finally meets his match. Sergio Oliva Sr. was challenged then eventually defeated by Arnold Schwarzenegger. Lee Haney was seriously pushed by Dorian Yates in his last Mr. Olympia win before Yates ruled the sport. 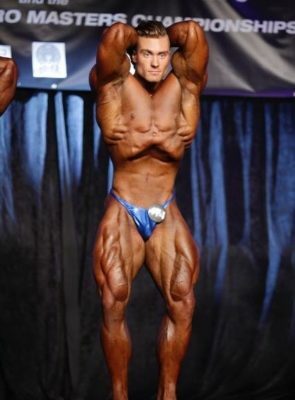 Ronnie Coleman always had Jay Cutler at his heels during his Olympia reign until he was finally beat by Jay in 2006. Cutler himself was chased by Heath until the newcomer overcame him in 2011. Will this be the year that it happens again? After a bodybuilder dominates the Mr. Olympia for so many years, fans are hungry for a shocking upset. It energizes the sport and makes it exciting. But there’s little indication that Heath will let one of his competitors get close. This year, he’s gunning to tie Arnold Schwarzenegger’s total of seven Mr. Olympia titles, and he seems destined to do it. Heath seems to have that special combination of physical genetics and unrelenting mental drive that will not allow another pair of hands to hold the coveted Sandow statue. 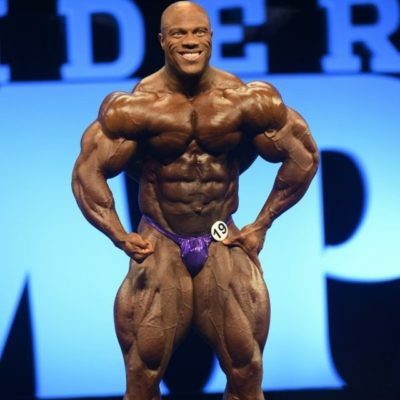 Look for Phil Heath to be crowned Mr. Olympia again this year! Like Kevin Levrone’s comeback in last year’s Mr. Olympia, this year’s Olympia Classic will feature another superstar from the late 1990s, Flex Wheeler, who received a special invite. Now 52 years old, Wheeler will fit right in this lineup, as the reigning champ, Danny Hester, is 48 years old. These two well-traveled stars will be joined by another wily veteran, Darrem Charles, 48, who finished fourth last year in the Olympia Classic Physique division. But make no mistake: Youth will be served this time, and the old lions will find the going tough against the rising tide. The names to watch this year are New York Pro Champion Breon Ansley, as well as Robert Timms, George Peterson, Arash Rahbar, and Pittsburgh Pro Classic Physique Champ Chris Bumstead. Here’s who we see holding the hardware at the end. 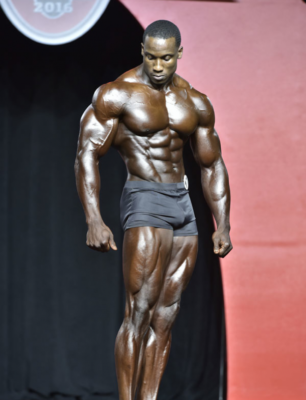 While we don’t see Flex Wheeler breaking the top eight, Charles should be able to land in the pack due to his always flawless lines and conditioning. 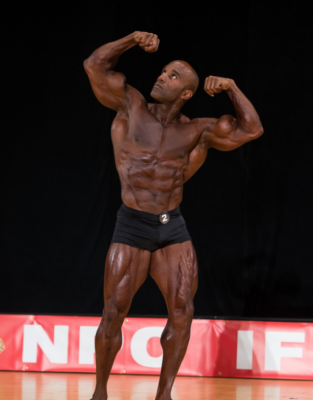 The 5’9”, 195-pound competitor is an entertaining poser, and he knows his way around a stage after almost 30 years of competing. While the 48-year-old finished fifth in last year’s Olympia Classic, Charles will find himself swimming upstream against the loads of new bodies in this year’s contest. Eight is still a great showing for this Caribbean-born star. The 23-year-old Canadian caused a stir at the Pittsburgh Pro when he vanquished the competition to take the Classic crown in that contest. A tad over 6’, Bumstead will be making his Olympia debut here, and the top placers from last year will be looking over their wide shoulders to see if he’s gaining on them. Bumstead has the goods and the momentum, but will he have the experience to push the elite out of his way? We say he’ll be seventh, but don’t count him out for a higher placing. He’s the wild card of this year’s contest. The always popular Hadzovic is a familiar face thanks to his many years of fitness modeling, but he proved his chops as an athlete at the 2016 Olympia Classic debut by finishing third. A former competitor in the physique division, Hadzovic should make another strong showing this year. Blessed with tremendous charisma and poise, and a stunning shoulder-to-waist ratio, he should again be one of the weekend’s top crowd-pleasers, but sixth is as high as we see him this time. 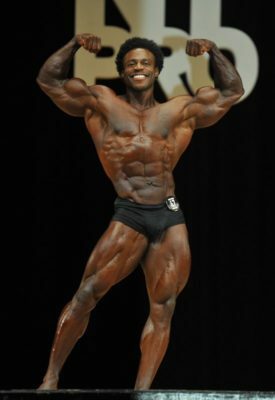 A former member of the Air Force, Timms finished sixth in last year’s Olympia Classic, but his pleasing proportions and steady climb up the ranks of the division should give him a great shot at finishing top five this year. Timms is a cancer survivor who doesn’t know the meaning of the word quit. He’ll battle hard to beat his placing from 2016 with the new talent this year. His excellent symmetry and balanced muscle bellies should help him move to a higher spot, and fifth sounds about right. After finishing as a runner-up at the New York Pro earlier this year, Peterson proved he’s ready for the big time. 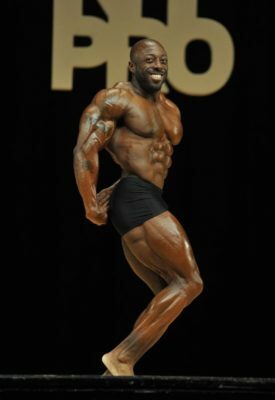 Nicknamed “Da Bull,” Peterson is one of the biggest and widest classic competitors, with a jaw-dropping back pose and dramatically deep abdominals. He was the first-ever Classic Physique NPC Overall National Champion, and he should do plenty of damage in the Olympia. Young, hungry, and confident, Peterson has another nickname, Aesthetic Fury. This is an aggressive competitor who could shake up this year’s Olympia. He could shock the bodybuilding world and take it all, but we see him finishing fourth. At some point, age catches up with every great athlete. Hester is now 48, and though he’s the reigning champ and the first-ever Mr. Olympia Classic Physique champ, he won’t be able to overcome the new and improving talent in this dynamic division. At 5’6” and 180 pounds, Hester will bring in the usual cut and compact package. But after 25 years of competing, he’ll also display a bit of wear and tear, at least compared to the competition. But he should hold on to a top three placing, and that’s where we see him. Last year’s runner-up in the first rendition of the Mr. Olympia Classic Physique, Rahbar is another convert from the Physique category. He has quickly become one of the top Classic Physique stars, winning the New York Pro and Pittsburgh Pro Classic Physique contests in 2016. The Iranian-American competitor has a near flawless body, with high-quality, dense muscle distributed on a perfectly balanced 5’11” frame. A polished performer, Rahbar’s star quality and peak conditioning make him a threat to win it all. He should have no problem repeating as runner-up. This year’s New York Pro champ, Ansley proved he has the ideal classic structure and competitive wiles to take the sport’s top trophy. The former college running back began his career in the 212-pound division. He scaled down to his current 195 pounds, retaining all of his quality mass in a tighter package. Ansley finished fourth in last year’s Mr. Olympia Classic Physique and knows what he’s up against. But the California-born competitor is a fast learner, and has continued to contour his once beefy physique into a masterpiece of proportion and aesthetics. More importantly, he’s got the heart of a champion. On September 16, he should have the trophy to match. So did we get it right? Let us know in the comments below who you think will take the top placings at this year’s Mr. Olympia.